While many of us are eagerly waiting Batman Group's Amstrad CPC port of the classic Amiga game ' Pinball Dreams ' by Digital Illusions CE, Batman Group has once again shocked us with just how good the Amstrad CPC could've been, if games were done correctly in the past rather than many of the shoddy ports released all those years ago ( Yes you R-Type! ). 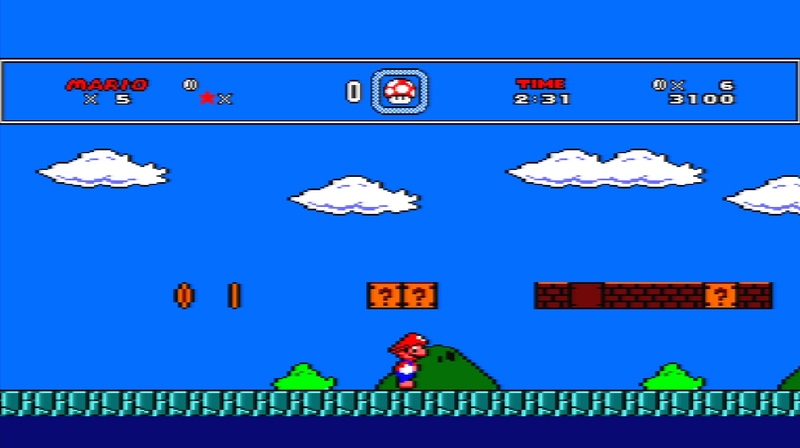 As an impressive showing, a member by the name of Rhino has released a demo disk, which has some elements to simulate a Mario style game with pixel precise scroll with a new routine pixel to pixel, 50 fps overscan on the Amstrad CPC! According to Rhino on the CPCwiki forums who has released the demo disk, he does state there are things missing like sound and a scoreboard, but there may be time down the line to add those in with optimisations such as compiling tiles. He also goes on to say, it is also possible to save CPU time by using byte precision instead of pixel precision for the scroll. (it could use the stack to draw sprites and tiles then, and save memory from sprites).... But in terms of my personal test of the demo, it's pretty jaw dropping at how well it scrolls and how smooth it runs even on a real Amstrad CPC 6128, something Batman Group is well known for doing.